Made a trip to TwinsFest 2010 last weekend. It's an event put on by the Minnesota Twins baseball club. 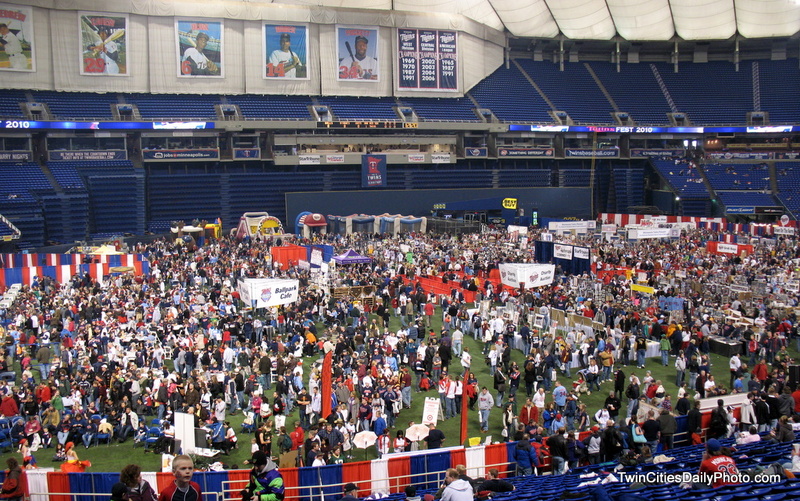 TwinsFest is one of the largest team-run fan festivals in professional sports, is an annual fundraiser for the Minnesota Twins Community Fund. Since its inception in 1989, TwinsFest has raised more than $3.9 million for programs and organizations supported by the Twins Community Fund. I attended TwinsFest back in it's first year of 1989 and also 1990, but had not returned until this year to bring my son, he enjoyed the trip to the dome. We rode the light-rail from the Mall Of America to the Metrodome to make the trip just a bit different than driving a vehicle.